GameStop is committed to delivering great games to customers, regardless of how and where they play. Whether you game on the go with a mobile device or spend hours console gaming with your guild, GameStop is the number one multichannel video game choice. 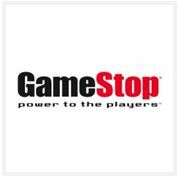 GameStop offers customers the most popular games, hardware and game accessories for next generation video game systems and the PC. In addition, our buy, sell, trade program creates value for customers while recycling products no longer being played.